A petition has been launched calling for better public transport through Condorrat after 8pm. 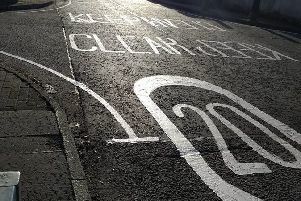 However, they claim feedback from passengers was that the route and journey time was too long so decided to concentrate on access to areas of higher patronage, mainly the town centre, Abronhill and Kildrum during the evening. An evening shuttle service has now been introduced from the town centre to serve Seafar and Condorrat, but passengers complain it only travels as far as the Condorrat ring road. 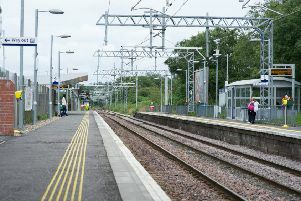 This has left areas such as the main Condorrat village and Mollinsburn feeling isolated and female passengers are concerned for their safety when having to wait in the dark for onward services, if they exist. Melissa Hutchison who started the petition said: “As someone who works in retail and finishes around 8pm every night I have to pay more than £10 a day now to get home as I need to use two different bus services, that is £200 a month. Anne Marie Duffy wrote to Stagecoach to complain. She said: “Despite the introduction of this shuttle bus there is still no evening service along Condorrat main road towards Mollinsburn, which has a negative impact on local residents. Stagecoach has been invited to respond. To sign the petition visit www.change.org/p/stagecoach-better-public-transport-through-condorrat-after-8pm.